Privacy is major issues of cell phones these days. Whenever your friend borrow your cell phone you start worrying about your personal content present in like contacts, photos, messages and some other important documents. Everyone hates that someone could have access to their personal content and information. So there must be a need of trusted app lock that can prevent your personal information with others. All thanks to play store, it is loaded with number of app locks but the actual problem is that people are confused about the selections of best app lock for android. Here in this article we have selected Top 4 app locks for android. They are totally free and can be downloaded for free. You can protect any application (messages, gallery, WhatsApp, Facebook) in your phone by using Visidon App lock. 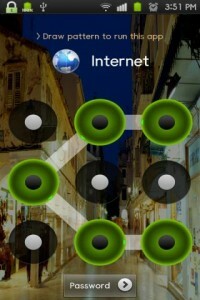 It is one of the trusted android app locks and can be downloaded for free. It is very easy and a cool way to prevent your apps from unauthorized use. The most amazing feature of this app is that your face is a key to open this app. It uses a front camera to recognize your face. Visidon app lock is available on play store with amazing feature and can be downloaded for free. Download it now to prevent your apps from unauthorized use. Smart app protector is another top app locker for android. It enables you to protect you personal apps and information by using either pattern or passwords. It features are quite similar to other app lockers but with some extra qualities. You can use it separately for any app in your smart phone. Smart App protector is available on play store and can be downloaded for free. Download it now and enjoy it’s amazing features. This app let you protect your apps from unauthorized use. 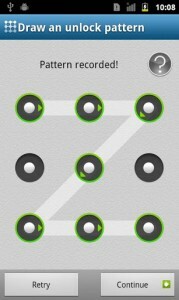 It is one of the best app lock for android. You can protect your apps by using passwords and pattern. App lock is useful as well as very simple app at the same time. It’s features include protecting installed apps using a password/pattern and startup protect services/ stop protect services facilities. It is available on play store and is totally free. Download App lock android now and enjoy its features. App protector pro is a paid app and can provide ultimate security to your apps. It can be used to protect any app like Email, Photos, Videos, Messages, Contacts or any other important or personal information. You can use either password of pattern to lock your apps. It has both automatic as well as manual locking mode. 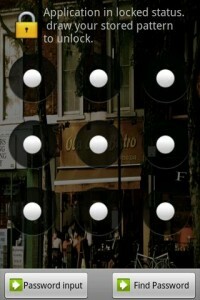 More over A widget is present for quick unlocking as well looking. App protector is powerful, trusted and easy to use app. It has customization option. Its free version is also available on play store and can be downloaded for free but with limited features. Download it now and increase security of your phone. Do you use any app lock for your android device? Which app lock do you prefer? Let us know.